Whether it's China’s disappearing rivers or the empty reservoirs of Brazil , the world's safe and drinkable water is drying up. Raising awareness of the impending global crisis is Mina Guli, businesswoman and founder of water conservation charity Thirst , who is running the equivalent of 40 marathons, across seven deserts in seven continents – in just seven weeks. You can watch some of her desert runs in these three videos. “Most people don’t know that we’re going to run out of usable water,” says Guli, a Young Global Leader at the World Economic Forum, where a survey of 750 experts rated water scarcity the number one risk to global society over the next decade. 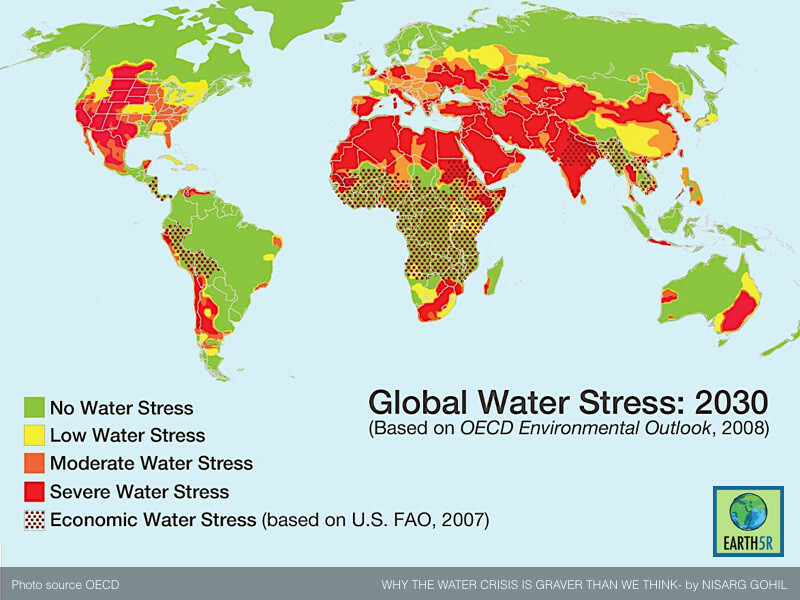 “By 2030, there will be a 40% difference between the demand for water and the supply of water available. We’ve got 15 years to solve the water problem," she says.